BYOD for any research ( iphones, laptops) The five high schools involved with this meet are: Bloomfield, Fairlawn, Northern Highlands, Old Tappan and Waldwick. Each school will have two teams of five students competing. In addition, each school will bring two extra students who will create two additional exhibition teams comprised of one student from each of the five high schools. The football team plays tomorrow @ Rutherford HS at 1pm. This is their final game that counts towards the state playoff power points. Once their seed and opponent is finalized, it will be posted. WarriorNation please come out and support the teams. Ms. Cassidy, Guidance Secretary found this great resource on staying organized. Below is a great sample of the kind of valuable resources you can find on this site. #1) MAKE A TO-DO LIST EVERY DAY Put the most important tasks at the top, even if they're things you're dreading, and tackle them first. Include things you want to do on your list too, so you have items you're looking forward to. Try motivating yourself with a reward if you get to everything on your list. #2) KEEP YOUR WORK WITH YOU That way, if you find yourself with extra time—while on the train or bus or waiting for an appointment—you can get something done. #3) DON'T BE AFRAID TO SAY NO It's OK to say no if your friend asks you to go to a movie one night but you have a test the next morning. Instead, find a time that works for both of you and go see the movie then. For Spirit Week and hopefully many more weeks to come, I am handing over the high school Twitter account to students. The idea behind this is to really get a student perspective on what goes on at WHS. Students will be tweeting about their academic day, social interactions, athletic practices/games, club meetings and especially this week, all the school spirit. The only guidelines I gave the students were: Remember you are representing yourself, your family, Waldwick High School and ME (Mr. Carroll). Seniors Allison Reynolds (President of National Honor Society) and Armando Gonzalez (President of Student Council). 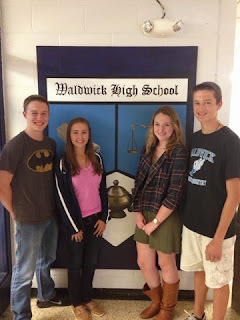 They will have full control of the @WaldwickWHSTwitter account. All tweets for the week will be signed AR or AG so we know who they are from. 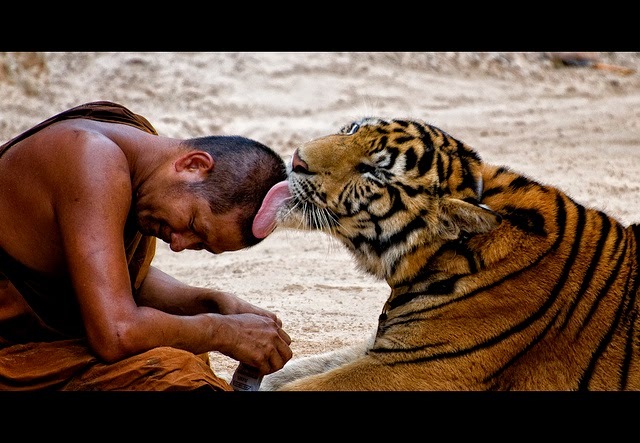 There is no such thing as too much or too little trust - either you trust fully or you don't! WHS Yearbook News - Class of 2015 "Early Years"
Early childhood pictures are needed for the "Senior Early Years" section of the yearbook--group pictures work best so we can feature as many students as possible; however, individual photos are accepted as well. This section immediately follows the senior portraits (it has nothing to do with the senior ad pages). This is a two page spread, so not every picture we receive will be featured. Since we do not have access to a scanner, it is best to send a digital file to either Mrs. Kish or Mrs. Dojer. The deadline for submission is Friday, November 21. Please email either one of us a scanned JPEG copy of your child's picture (if they (or you) want them in this section). 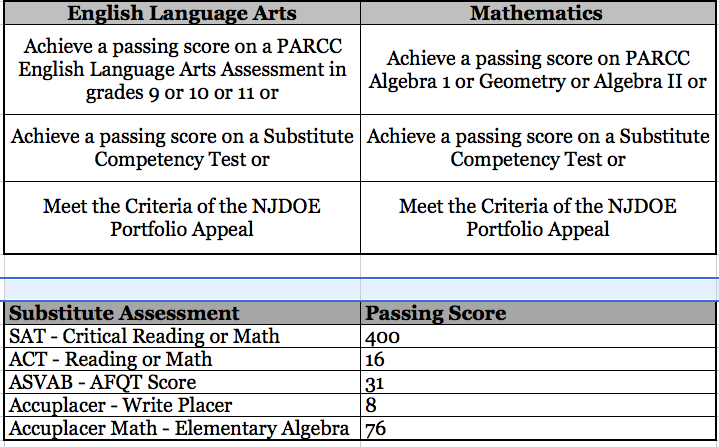 The New Jersey Department of Education recently posted (9/30/14) a memo regarding graduation requirements for the Classes of 2016, 2017 and 2018.Prior to this memo, all high schools in New Jersey were under the impression that as the State transitioned from the HSPA to the PARCC, there would NOT be a required exam for students to pass to receive a high school diploma. This memo changed all of that.The actual state memo can be found here: Graduation Requirements Class of 2016, 2017 & 2018. What does this mean for the current juniors, sophomores and freshman? 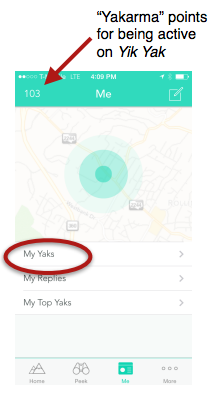 The App "Yik Yak" was recently in the news so I felt it was important to share with you some information related to the topic. In our constant effort to stay up-to-date on current technology, teach digital citizenship and model good use of social media, there are times when students make poor choices and use these online tools for inappropriate behavior. I hope the information below is helpful in starting a conversation with your child about the significance of protecting their online identity and the importance of what they are posting online and the consequences that could effect their future. We are in this together and if you need support in any way, please reach out to the HS administration, guidance counselor or teacher. 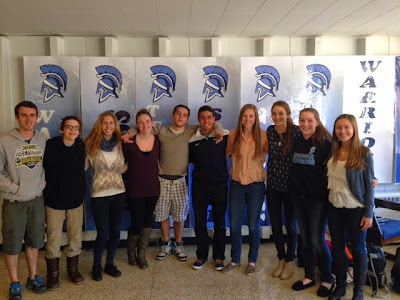 WORLD LANGUAGE JULIA POST – Julia, a senior, has been a student in our Spanish Program since freshmen year. Julia is currently taking AP Spanish Language and Culture and is doing an excellent job in this course. What separates Julia from the rest is her genuine interest and desire to learn not only the mechanics of the language, but also the cultural intricacies of it. Julia also makes a difference because she looks for opportunities to learn more and to put into practice her language skills outside of school. She plans to continue on to college to study International Business, a career that will allow Julia to apply her experiences in the four years she was exposed to the best the World Language Spanish Program has to offer.